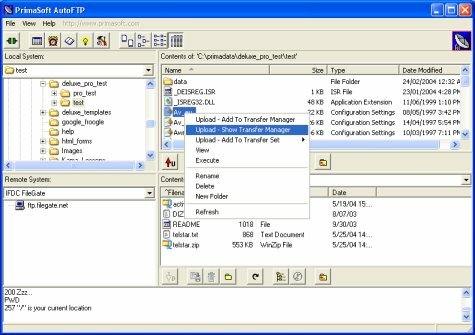 FTP windows, ftp features. AutoFTP Pro software tour. Auto FTP Pro main screen allows you to quickly define transfers (downloads or uploads) of the selected files. To define transfer you can use drag-and-drop feature, commands from pop-up menu, or download or upload buttons.